Some call them slashies, some call them taprooms, and some call them packaged goods stores. We call them awesome. 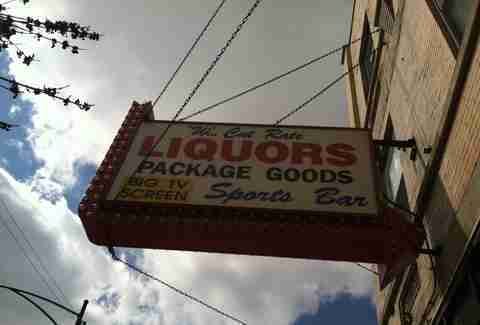 Here are Chicago's 11 finest old-school liquor stores/bars where you can sit down for a few cold ones... then buy a case of cold ones on your way out. When entering Rite Liquors, you can expect to 1) burn a ridiculous amount of money on scratch tickets from the lotto vending machine, 2) walk in on people snorting illicit stuff in the bathroom, 3) be offered strange homebrew substances by friendly ex-military men seated at the bar next to you, or 4) all of the above. The one thing you can count on? A great time, every time, with what is perhaps the most random collection of humanity ever assembled. A slashie with its own in-house food truck and live bands in the parking lot is a unicorn-level rare occurrence, and one you'll get to enjoy at Fischman Liquors. Most well known for its huge warehouse of rare craft brews, this slashie is also noteworthy for its bi-monthly food trucks outside (including the in-house Chi Town Chow Down, formerly Wagyu Wagon) and events in the parking lot with live bands like the upcoming Kegs for Kidneys benefit in May. Who says slashies can’t be socially conscious? 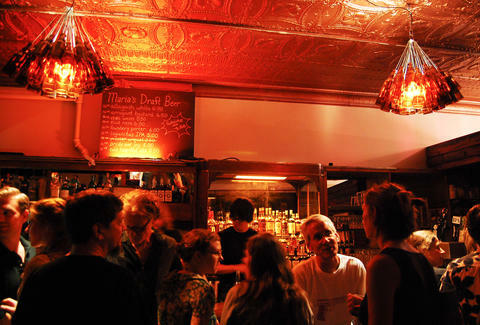 Maria’s is not only one of Chicago’s most hipster bars, it’s also one of the best beer bars in the city and the COUNTRY. With 450 beers on the menu alongside classy cocktails like the 11th Ward Old Fashioned, expertly curated nightly DJ events, and a chandelier made of beer bottles, this beloved slashie was recently revamped but still maintains its original dive bar soul as a central meeting place of the Bridgeport art community. It also helps publish a beer journal, brews a local beer, and puts on a local art fest. In the dive bar-heavy Eastern section of Wicker Park that also includes Rite Liquors (across the street), Zakopane, Phyllis’ Musical Inn, and Gold Star, this place often gets lost in the shuffle. Longtime residents even seem surprised by its existence, and the locals-heavy crew of serious professional drinkers like it that way. 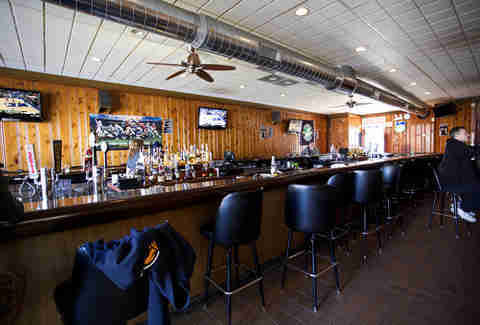 If you’re a fan of Polish vodka and “authentic” dive bar smells (who isn't??? ), this is the place for you. Not only has Bruno’s (formerly known as Bruno and Tim’s Lounge) been a Rogers Park lynchpin since 1956, the joint has amassed serious street cred among locals for staying put in the neighborhood while Loyola bought up all the other businesses on the block and turned them into retail or housing. 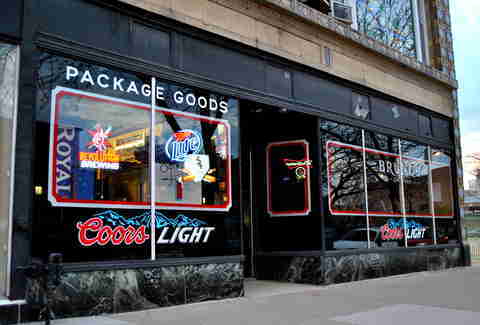 Step inside and find “package goods” on the left and a recently touched-up bar on the right that’s frequented by students, barflies, and basketball-loving alumni. Some people love the Oasis and its dead-serious love of darts: the sport of beer-bellied champions. 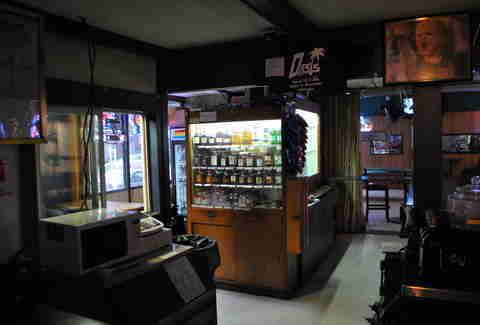 Others know the joint simply as “where dreams go to die,” citing blurry 3am visits during which time stands still and despondent men clutch beer bottles like the edge of an abyss. But hey, the Oasis sells to-go booze late into the night, so think happy thoughts and forge ahead. 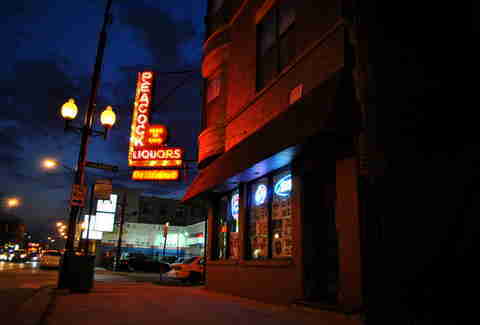 At Peacock Liquors, the majestic neon sign serves as dazzling plumage, calling Regular Joes to stop in for an Old Style and a chat with the ‘tender about how the mayor/Bears O-line/weather/whatever you feel like bitching about is terrible. 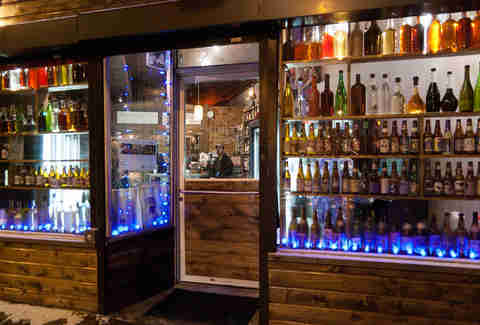 It’s more of a liquor store with a bar in the back (rather than the other way around) and every visit feels like it necessitates a drink that can never come quick enough. Come for the jukebox, stay for the company, leave with a cold sixer in hand. 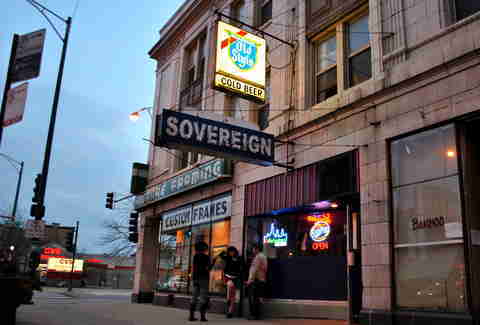 The Sovereign is one of the sparkliest hidden gems in town, and its excellent jukebox features mixes made by the staff and friends. Every neighborhood should have a slashie like this. Avondale keeps changing more and more each year, and Crown Liquors has recently begun a makeover to make sure it’s got the curliest hair and freshest corsage at slashie prom night (not actually a real thing, although that would be awesome). A wide selection of craft beers is coming to the liquor store side and, on the bar side, patrons can enjoy bubble hockey and a craps-style special where a roll of the dice scores a shot of mystery booze. At Ola's Liquor, to-go booze, cheap beer on tap, lottery tickets, cigarettes, pretzels, and a feisty bartender who may or may not be swearing at you in Polish are all part of the charming ambiance. 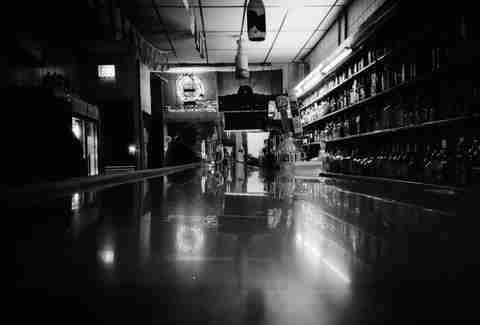 Few places around town are as old-school Chicago as Ola’s, so shut up about it already and drink your damn beer. The South Loop isn’t exactly overrun with low-key hangout bars, so we’re thankful that George’s Cocktail Lounge keeps on trucking, no matter how many condo owners, convention visitors, and corpse-reviving necromancers flood the neighborhood. Also, kidding about the necromancers. Or are we??? 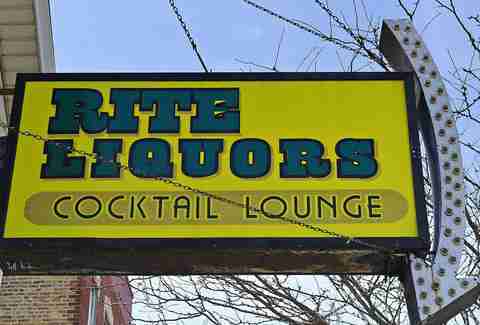 Jay Gentile is Thrillist’s Chicago Editor and thinks everyone should experience the joy that is Rite Liquors at least once in their lifetime. Follow him @ThrillistChi. Raf thinks every business should sell to-go beers, especially hardware stores, tax offices, and dentists. Contact him with brilliant investment ideas at @RafFoSho.